"If you gaze long into an abyss, the abyss also gazes into you." 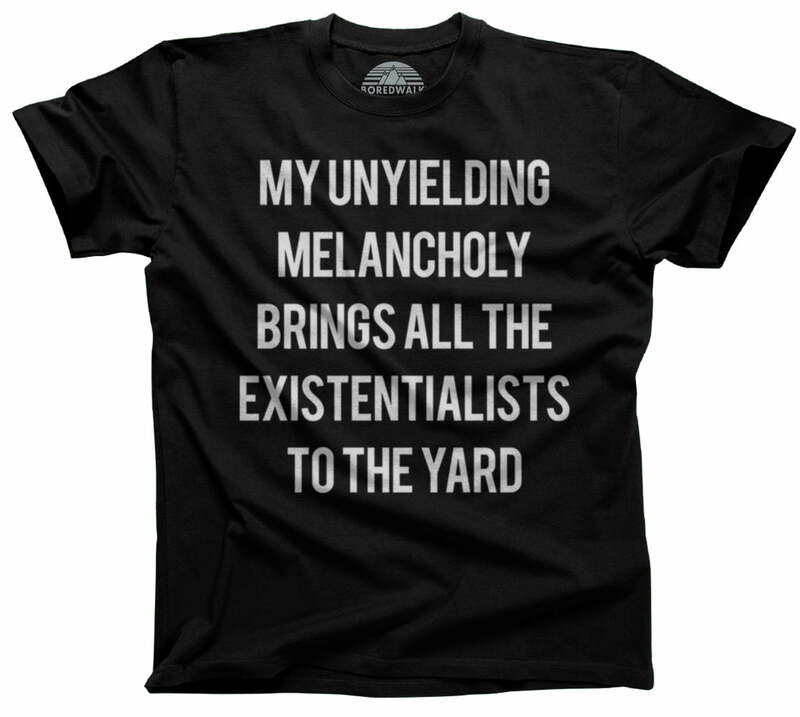 If existential dread, nihilism and gazing into the abyss is your thing, you'll love this funny, emo, goth abyss shirt. 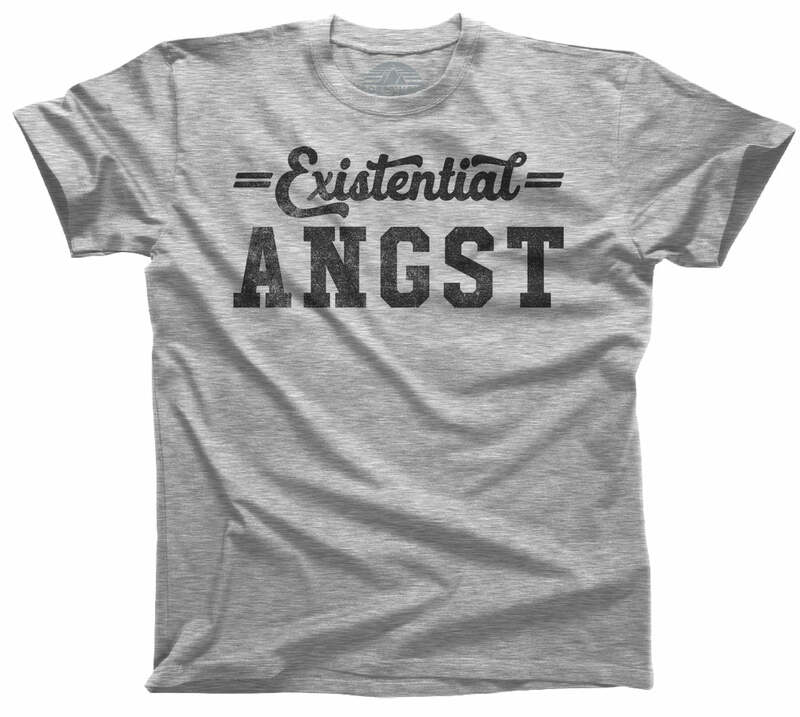 Brimming with angst, this shirt makes a great gift for the philosophy student, existentialist, or nihilist in your life. 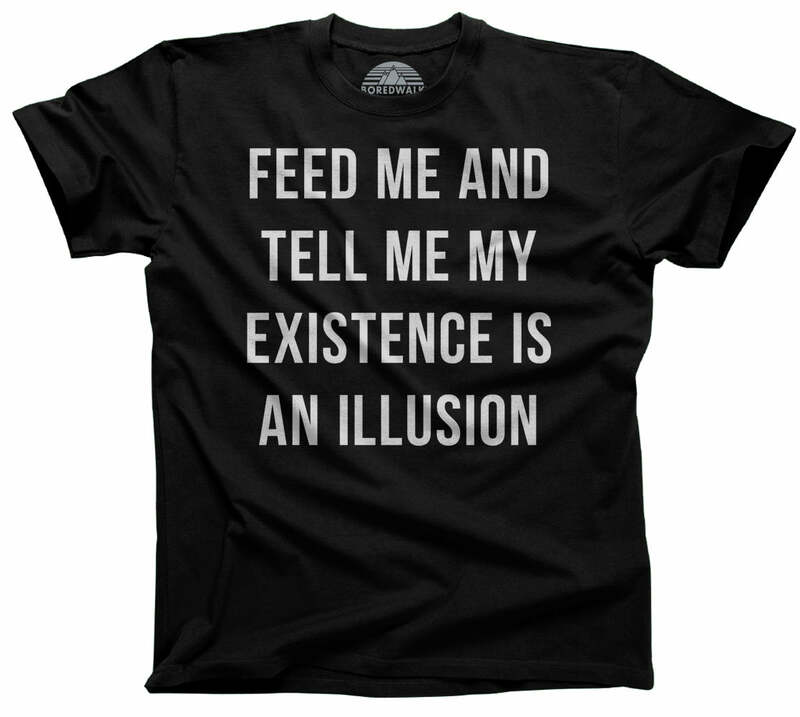 If your wardrobe could use more existentialism, nihilism or sarcastic ironic humor snap up this funny shirt and add it to your collection of Tumblr aesthetic threads. In a world where nothing matters, I am glad some people still care about the little stuff like making comfortable, quality and good looking apparel. I typically wear XL–XXL and if you’re in that range then you know fit is a crapshoot. 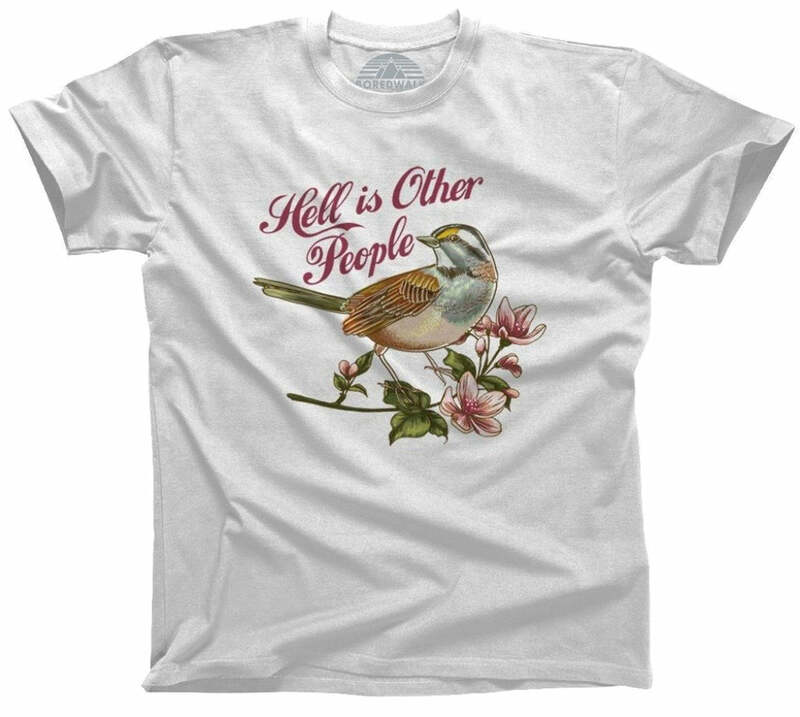 Some people cut their shirts so weird it’s like they’re aliens who saw some footage of humans and then tried to make clothes to infiltrate Gap or something. These fit great. Not all snug and thin and fitted for a Chihuahua version of you; fit just outside of your body so there’s room. The neck is high and tight, which is nice since they don’t immediately stretch out like the shirts made by the alien people. I’m sure we will learn a lot from their civilization. Eventually. But for now they need to know that their shirts are always just a little off. Great quality, great fit. Can't wait to wear it!